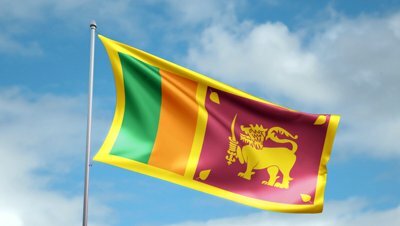 IHRC are urging campaigners and activists to demand that the Commonwealth Secretariat suspend Sri Lanka from the Commonwealth due to their tacit support of a violent Buddhist group and lack of response to the plea for help from the vulnerable Muslim minority. Last week’s brutal attacks by Buddhist extremists of Bodu Bala Sena on the Sri Lankan Muslim minority, despite the minority’s repeated warnings to the government against the looming bloodshed, proves that the Sri Lankan government is happy not to take any action against blatant abuse of minority rights. This bloody episode of violence against the vulnerable Muslim minority is a regular trend in the country and a clear sign of the government’s acquiescence in anti-minority assaults. Reports even claim that the extremist groups operate with quiet backing of the government, since the ruling party will benefit from the majority Sinhalese vote. In light of these emerging facts, IHRC urges all campaigners to demand the Commonwealth Secretariat to suspend Sri Lanka from the Commonwealth since it is deliberately failing to uphold the charter. On 15 June 2014, the far-right Buddhist group, “Bodu Bala Sena” (“Buddhist Power Force”) held a rally in Aluthgama, where General Secretary Galaboda Aththe Gnanasara Thero ‘rained words of poison and fire’, inciting a large crowd to violence against the Muslim minority community. The protest march was silently watched by heavily armed police and military forces, who took no action against the extremist group despite several warnings by one of the government’s own ministers that it would likely turn violent. Mr. Hakeem, leader of the country’s largest Muslim party, stated a painful fact, “For 72 hours, we begged the government to prevent this rally from taking place on Sunday for fear of riots.” Another report states that “Muslims in the area spent sleepless nights” knowing that ‘racist’ Gnanasara Thero, known for his ability to incite innocent Sinhalese, has been allowed to hold a rally. What followed was ‘mayhem of an unprecedented scale’ as mobs shouting anti-Muslim slogans and hurling gas bombs looted and destroyed Muslim-owned property and businesses. The ‘law and order machinery completely failed’ as three mosques and several prayer places were set ablaze. Many Muslims fearing for their lives took shelter in mosques and other relatives’ houses as the carnage continued. Police did little to stop the mobs rampaging through Muslim areas even after the authorities imposed a curfew on the affected areas. As six houses burnt, attempts were made by the families to contact emergency services but they received no response. It was described as ‘one of the worst cases of religious violence in decades’, as Bodu Bala Sena tore a trail of destruction through the coastal resort of Aluthgama. At least three Muslims died and scores were injured. According to reports, the attack was ‘meticulously planned and executed to military precision.’ These assaults are just the latest in a series of many by the extremists from the mainly Buddhist Sinhalese majority directed against minority groups. Aside from regular attacks on mosques and Muslim businesses, recent years have also seen Sri Lanka’s sizeable Christian minority come under fire. IHRC believes that this tacit support by the Sri Lankan government for extremist nationalist Buddhist groups like Bodu Bala Sena is directly responsible for the increasing violence against the country’s confessional and ethnic minorities. We urge all campaigners to write to the Commonwealth Secrtariat, demanding Sri Lanka’s immediate suspension from the Commonwealth for their obvious government acquiescence in anti-minority violence. Sample letters are given below for your convenience. Please note that model letters can be sent directly or adjusted as necessary to include further details. If you receive a reply to the letter you send, we request you to send a copy of the letter you sent and the reply you received, to IHRC. This is very important as it helps IHRC to monitor the situation with regards to our campaigns and to improve upon the current model letters. I am deeply disturbed by the Sri Lankan government’s lack of action against the violent far-right Buddhist party, Bodu Bala Sena (BBS), who have been fully responsible in the deadly attacks on the Muslim minority in Alguthmera following a controversial rally on 15 June 2014. The BBS were allowed to hold a protest march in the town despite warnings by one of the government’s own ministers that it would likely turn violent. The BBS general secretary openly incited the crowd to religious hatred of minorities using extreme words, while government forces stood watch. The rally was followed by ‘one of the worst cases of religious violence in decades’ as the BBS tore a trail of destruction through the coastal resort of Aluthgama, destroying and looting Muslim owned properties and businesses. At least three Muslims died and scores were injured. Further, three mosques, several prayer places and residences were set ablaze. The police did little to stop the mobs rampaging through Muslim areas despite pleas for help from the vulnerable Muslim community. So far, the BBS have gone unpunished, and hard-line monks have been able to operate largely with legal impunity. Aside from regular attacks on mosques and Muslim businesses, recent years have also seen Sri Lanka’s sizeable Christian minority come under fire. There are suggestions that the extremists operate with quiet backing of the government who are hoping to consolidate the Sinhalese majority vote, which is about 75 percent of the country, by demonising minority Muslims and Tamils. The Sri Lankan government’s tacit support of extremist nationalist groups, who are ruthlessly launching brutal attacks against innocent civilians, is a blatant violation of the Commonwealth core values and principals. Hence I strongly urge you to immediately suspend Sri Lanka from the Commonwealth for the government’s acquiescence in anti-minority assaults. The government should be brought to an international court of law and held accountable for their commitment to violence through support of extremist groups.